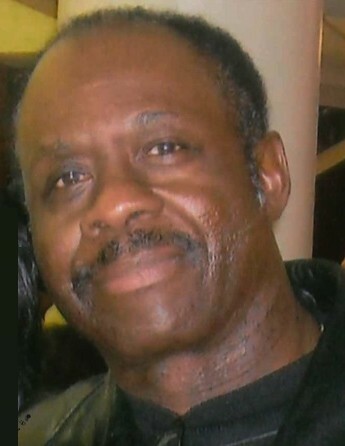 Willie Lewis Ranford, age 70 of Mt.Orab, Ohio died Friday, January 25, 2019 at his residence surrounded by his loving family. He was a retired supervisor for UPS, a United States Army veteran, a member of the St. Angela Merici Catholic Church in Fayetteville, Ohio, a master in karate at Tiger's Lair affiliated with I.K. Kim Karate School in Cincinnati, Ohio, a board member for the Brown County MRDD and loved dancing. Willie was born March 5, 1948 in Dooley County, Georgia the son of the late Joseph Ranford and Rossie (Hill) Ranford Lee. Besides his parents, he was preceded in death by one daughter – Stacy Ranford in 1994, step-father – Egar Lee and one sister – Lena Ranford. Mr. Ranford is survived by his loving wife of 46 years, Anita (Smith) Ranford whom he married August 11, 1972; two daughters – Amanda Ranford of Mason, Ohio and Kellie Johnson and husband Steve of Tampa, Florida; four grandchildren – Dallas Washington and Ethan, Ellis and Gabriella Johnson; two brothers – Nathaniel Ranford and wife Ozella of San Antonio, Texas and Norman Ranford and wife Willa of Atlanta, Georgia; one sister – Gayle Blockson and husband Joe of Cincinnati, Ohio and a host of nieces and nephews. Mass of Christian Burial will be held at 11:00 A.M. on Saturday, February 2, 2019 at the St. Angela Merici Catholic Church in Fayetteville, Ohio. Fr. Tom Bolte will be the celebrant. Visitation will be from 5:00 P.M. – 8:00 P.M. Friday, February 1, 2019 at the Cahall Funeral Home in Mt.Orab, Ohio. Interment will be in the St. Patrick Cemetery in Fayetteville, Ohio. If desired, memorial contributions may be made to the Stacy Ranford Scholarship Fund, c/o Western Brown High School, 476 West Main Street, Mt.Orab, Ohio 45154 or to the Willie Ranford Memorial Fund c/o Tiger's Lair Martial Arts, 4413 Kitty Lane, Batavia, Ohio 45103.